Introduction: Popularly associated with the environmental movement, St. Francis (ca. 1182–1226) has long been figured as having an intense devotion to nature and an unwillingness to participate in what his admirers have seen as the tendency of Judeo-Christian culture to promote ideologies resulting in the degradation of the natural world. 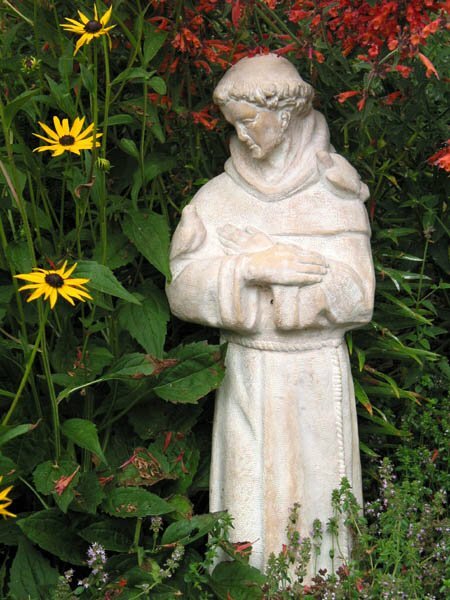 Especially recognized as showing kindness to animals, St. Francis often is invoked as a figure providing an alternative model of human interaction with other living species, one based not on dominance and mastery of them, but on equality and love. Such conceptions of Francis survive unabated not only in popular devotion to the saint today, but also in the writings of some modern historians of environmental thought, who have found in the medieval texts about St. Francis a genuinely distinctive set of ideas about the potential for non-destructive human interactions with the natural world. Nonetheless, there are problems inherent in the study of St. Francis, most notably the immense difficulties we face in coming to any clear understanding of his beliefs about the natural world because of the paucity and obscurity of the evidence we have concerning him. Francis himself appears to have written very little, and what he did write is, where extant, of little use in deducing much of any consequence concerning the environment. His followers, however—those who were members of his original brotherhood and those who joined it in the first decades after his death—wrote extensively about their order’s founder and his beliefs. In one of these early accounts of Francis’s life, he is said to have overseen the construction and maintenance of a garden. Although there are problems in judging the truth of this claim, the details surrounding it nonetheless provide us with a valuable perspective on early Franciscan attitudes toward the landscape at a time when it was undergoing great changes resulting from urbanization and the commercialization of the economy.